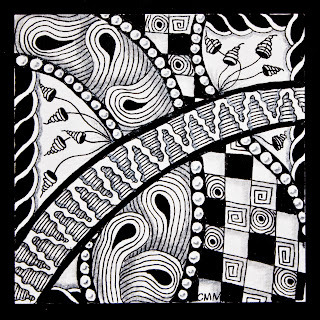 This challenge was posted by Laura Harms at Diva Challenge 105. 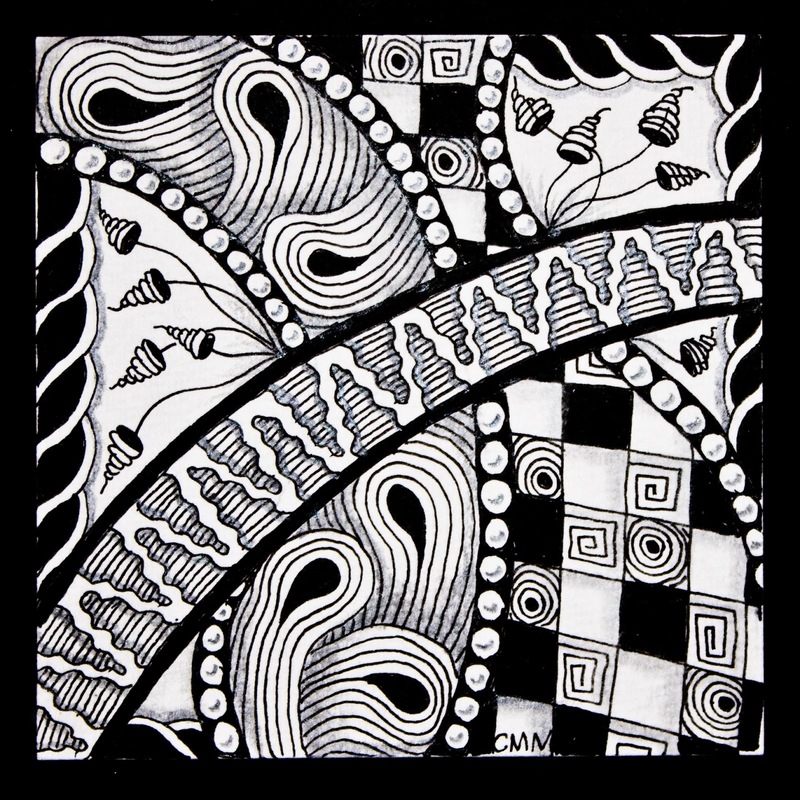 The challenge was to use Margaret Bremner's tangle Dansk somewhere on your tile. I also used Fang, Seljuk, and Zinger. For my string I used number 2 from tanglepatterns.com. You can find it here. Nice bold tile. Great job. I love this tile; great black and white balance. This is lovely! Nice assortment of tangles. I love the contrast in black and white which emphasizes the patterns to perfection! Really beautifully done. Very sharp and clean contrast, nice flow, too. Sorry I missed your posts for the last couple of weeks. Thank you for your comments on my blog. Wow, there are some neat tangles there - I love the little beehive cone shaped ones on the strings - nice!